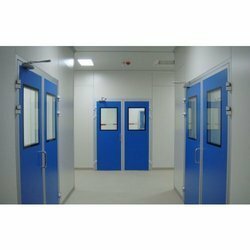 Manufacturer of a wide range of products which include clean room door, sliding door, fire rated doors, hatch door, cold room door and commercial steel door. Our respected clients can attain from us, Sliding Doors is modified as nicely as well-known provisions. 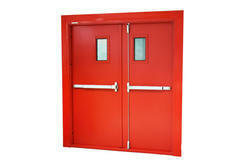 Fire doors are designed to protect life in an event of fire. For this, the door must serve as a fire and smoke barrier. Studies have shown that more people have lost lives due to smoke asphyxiation than fire. 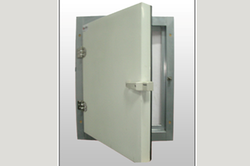 Our company is the major company known for providing Hatch Door to the clients. 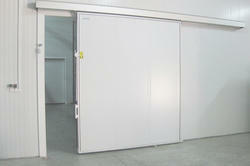 Alfa offers a top quality cold room and freezer doors. The door construction and linings are Specially designed for the food industry and fulfill the environmental requirements of that industry as well as being able to withstand rough treatment.The door leaf panels are injected with high pressure polyurethane. All doors have a smooth metal surface which can be easily and hygienically cleaned. 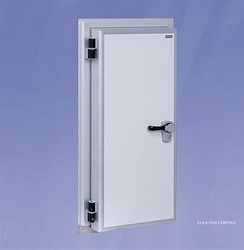 Alfa offers a wide range of commercial Steel Door in the market. These doors are manufactured using superior quality steel. The doors offered by us are ideal to be installed in various industrial establishments. we also offer an exclusive range of heavy duty industrial steel doors with or without glass safety Panels and custom hardware, These industrial steel doors can be manufactured & supplied with pre-installed glass and hardware, as per the specific requirements of our clients. These industrial steel doors are widely appreciated for their quality and durability. 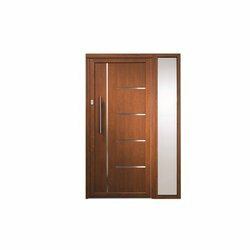 These Residential Doors find usage in vast areas such as domestic applications and comply with international quality standards. Looking for Commercial Doors ?